We reviewed the sign for ball as well as signs for different sports (baseball, football, basketball, soccer). We watched the Signing Time DVD "My Favorite Sport" which covered each of those signs. I chose this book for Jonathan because it was Rookie reader, without a lot of text. I liked that it talks about what different balls can do. The illustrations, as one Amazon reviewer noted, are kind of a strange claymation. (Think Bert & Ernie's Great Adventures). But Jonathan still enjoyed this book and picked it up to read it again. He also had fun matching his balls to the balls pictured in the book. This was by far our favorite book. 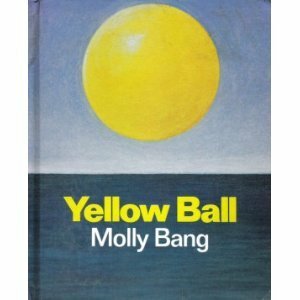 It's a really sweet story about a yellow ball that is left at the beach and swept out to sea. The story recounts the adventures of the ball until it eventually safely washes to another shore and finds a home. The story is told in very few words but dramatic pictures. Jonathan loved the story and wanted it read several times in a row. He was engaged and would even shout "Watch out ball!" during one particular scene. This book was so much fun to read together! 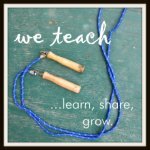 It is part of the Before Five in a Row homeschool curriculum and there are several online resources for the book. It's too bad it's out of print- but fortunately our library system had several copies! I found this book at our library booksale and snatched it up based on our enjoyment of a previous Froggy story. I wasn't disappointed- we enjoyed this one equally as well. In this story, Froggy is playing in a soccer tournament-- his dad coaches him to use everything but his hands-- will Froggy remember? Jonathan has really enjoyed this silly frog and loves any story involving sports! It's still been fairly cold outside and since we are still recuperating from RSV, so we haven't played outside much. We played with a lot of balls, of course! Daddy is particularly helpful with this-- Jonathan loves wrestling and playing with daddy. His basketball hoop is a constant source of fun. He's getting pretty good at catching and making baskets. I also brought his wading pool inside and filled it with all sorts of different balls: our 100 color balls, kick balls, sensory balls, small sports balls... you get the idea! He's had a lot of fun swimming through the balls. We've also played a game where daddy or I hide a couple small toys in the bottom of the ball pit and he tries to find them. It's another good way to exert some energy! Gracie got into the ball playing too! We sang Take Me Out to the Ball Game. We also enjoyed a song "the Basketball Dance" from the Kimbo CD Circle Time Activities. I found some foam ball shapes on clearance at JoAnn fabrics. There were a dozen different sports ball shapes (baseball, football, basketball, soccer). I attempted to have him try to do a pattern with the shapes- but he was much more interested in just trying to throw the balls around. Massive fail-- but he had fun. We did some ball painting inspired by an idea I found on No Time for Flashcards. It was a super easy craft. I put paper in a shoebox along with yellow paint and a bouncy ball. I had Jonathan tip the box to roll the ball through the paint. It turned out ok, but Jonathan was more interested in playing with the ball than painting! I also found some assorted ball stickers at Michaels in the dollar section this week. Given Jonathan's enjoyment of stickers and glue, I let him place the stickers on a lowercase b. He enjoyed this craft a little more than the painting. B is for Ball @ Toddler Approved! Thanks for the Froggy Play Soccer recommendation. I placed it on our reserve list!